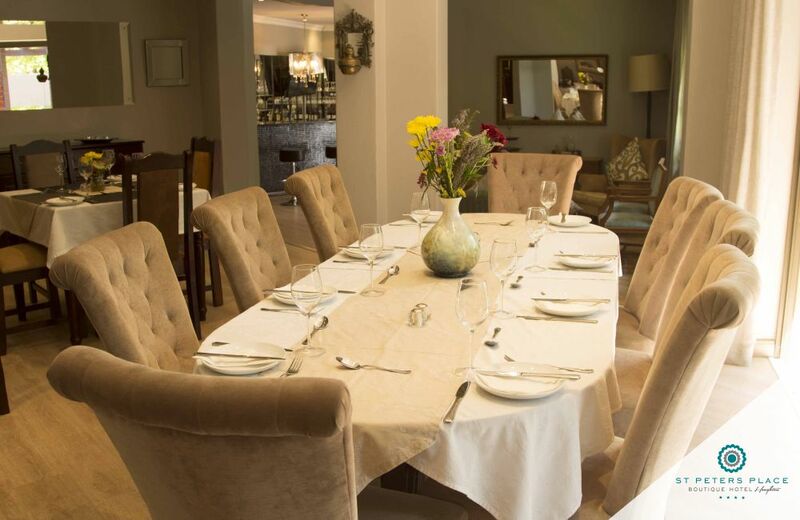 The St. Peter’s Place Boutique Hotel Restaurant is a welcoming restaurant, with both indoor and outdoor dining in leafy Houghton, Johannesburg. 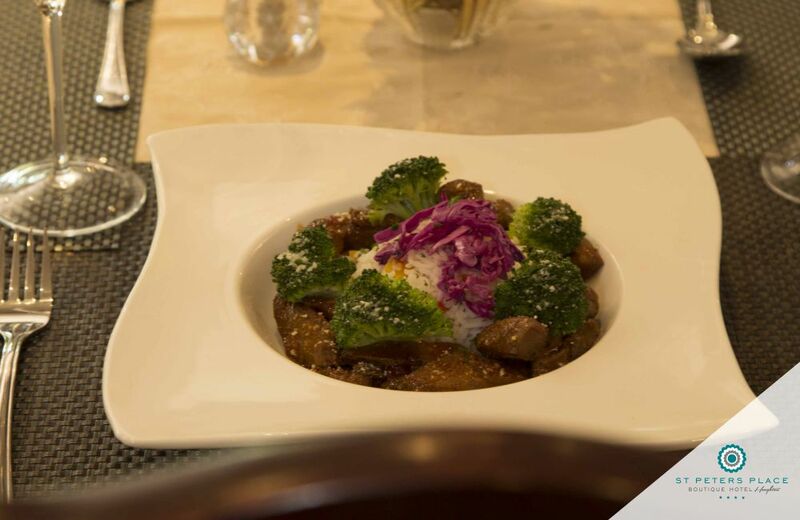 Offering an amazing dining experience to both guests and diners, our specially designed menu is set to impress foodies whether it be for breakfast, lunch or dinner. 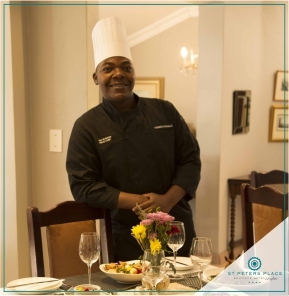 A Centre for Culinary Excellence graduate, and hailing from Limpopo, Chef Tim possesses rare global experience having worked at the Yas Viceroy Hotel in Abu Dhabi, the hotel that hosts the Formula 1 Championships serving politicians, movie stars, musicians, and royalty. In South Africa, Chef Tim also worked Warm&Glad working his way up from sous-chef to head chef. 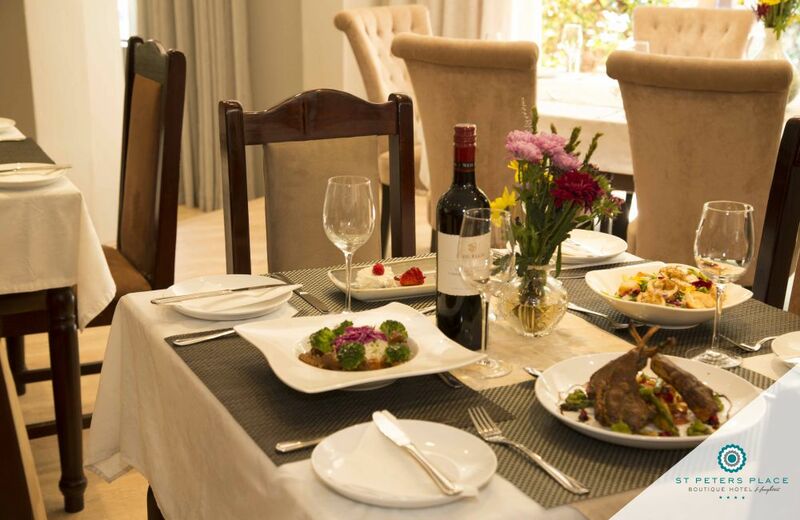 At Saint Peter’s Place Boutique Hotel, Chef Tim has been given full creative freedom to portray his vision of food: fresh, wholesome and natural with a bit of flair.